Educator and Sociologist C. Eric Lincoln was born June 23, 1924 in Athens, Alabama. After he was abandoned by his parents, Lincoln was raised by his maternal grandparents. He attended the Trinity School in Athens, an institution created by the New England-based Congregational Church to meet the secondary education needs of African Americans in that community. While there Lincoln picked cotton to earn money to purchase his books and pay the three dollar per year tuition for his studies. Lincoln edited the Campus Chronicle, the Trinity school newspaper. He also graduated as the valedictorian of his class in 1939. After high school he moved to Chicago to continue his studies, working during the day and taking night classes at the University of Chicago. In 1943 Lincoln was drafted into the United States Navy and served until the end of World War II. In 1945 Lincoln moved to Memphis, Tennessee to enroll in Lemoyne College. He received a BA in philosophy and sociology from the institution in 1947. In 1954 he received his master’s degree in philosophy from Fisk University and a bachelor of divinity degree from the Chicago Divinity School two years later. In 1957 Lincoln became an ordained minister. Three years later, in 1960 received a Ph.D. in sociology and social ethics from Boston University. Lincoln’s first book, The Black Muslims in America, was released in 1961. The work was the first scholarly research on the Nation of Islam. Following its publication Lincoln worked for the next decade at Portland State College (now University) in Oregon, Union Theological Seminary, and Fordham University, both in New York. During that period he published My Face is Black, an exploration of racism during the civil rights era. In 1970, Lincoln became the founding president of the Black Academy of Letters. Three years later, he returned to Fisk University as Professor of Religion and Sociology and chair of the Department of Religion and Philosophical Studies. While at Fisk, he published The Black Church Since Frazier (1974) which became a leading work on the subject. In 1976, Lincoln became a professor of religion and culture at Duke University until his retirement in 1993. Despite declining health brought on by diabetes which affected his eyesight, Lincoln published another landmark work, Race, Religion and the Continuing American Dilemma in 1984. 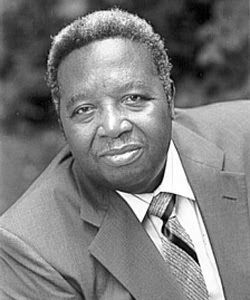 In 1990, he co-authored his last major scholarly work, The Black Church in the African American Experience with his former student, Lawrence Mamiya. This book was based on a ten year study and interviews of more than 2,000 black ministers in the major of religious denominations in the U.S.
Lincoln also wrote fiction including The Avenue, Clayton City, which won the Lillian Smith Award for Best Southern Fiction in 1988, and poetry, This Road Since Freedom: Collected Poems. In 1996 Lincoln published Coming Through the Fire: Surviving Race and Place in America, a personal history that urged all people to embrace their shared humanity and work together for the greater good. C. Eric Lincoln was married twice and had two children by each of his wives. He died on May 14, 2000 at the age of 75 in Durham, North Carolina. at Duke dies at 75,” (Raleigh, N.C.) News and Observer May 15, 2000, p.